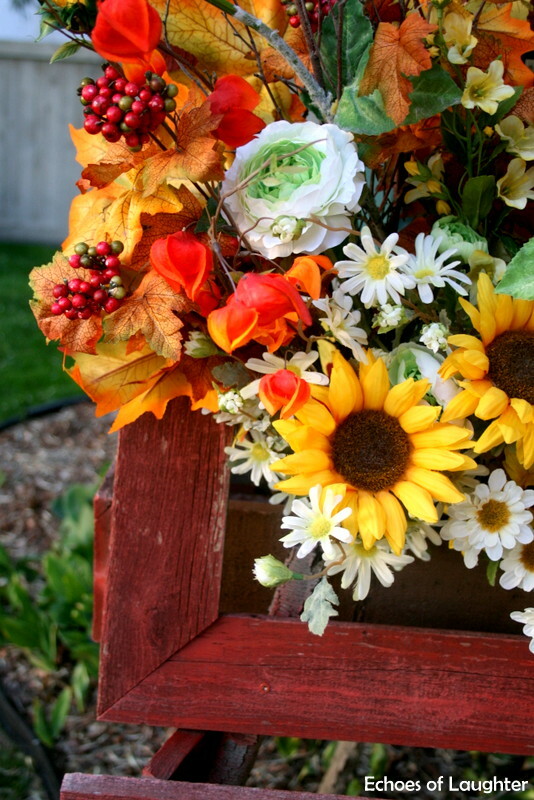 I love decorating for Fall….it is something that I look forward to all year! You may remember that last Christmas, I decorated this rustic box wreath for Christmas, and I could not wait to change it up and add fall colours to make a fall box wreath for the season. 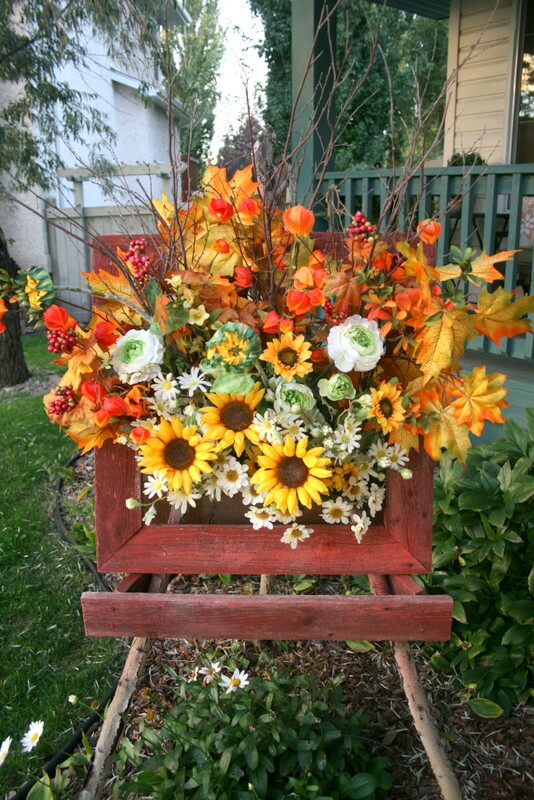 With a collection of silk flowers in fall colours, along with some willow branches, leaves and Chinese lanterns, I was able to create this fun & colourful decoration as a warm greeting to guests who visit our home. 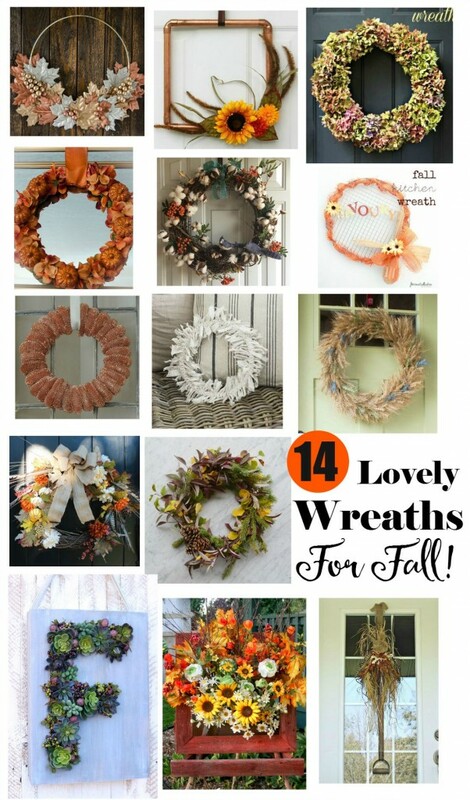 I have also joined together with a group of talented bloggers to bring you 13 other inspiring wreaths for Fall. 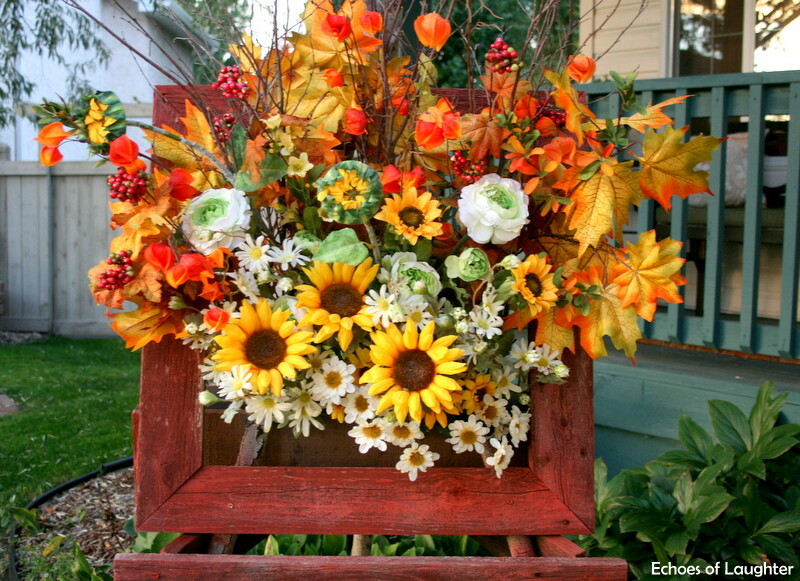 To create this arrangement, I started by adding fall leaves and willow branches to the back of the box wreath. 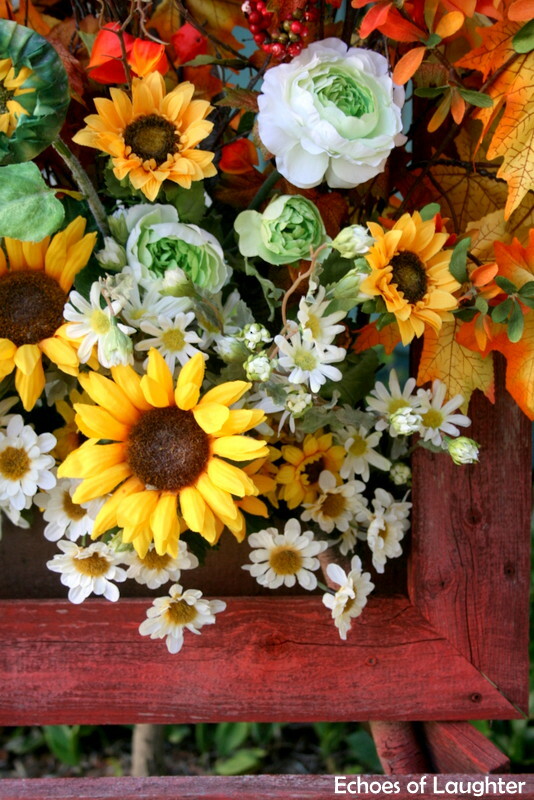 Then I added a focal point of 3 sunflowers in the front of the box, along with small white flowers for contrast. The contrasting white flowers really make those sunflowers pop! I tried to leave the flowers a little ‘loose’ so they looked like they are trailing a bit out of the box wreath. I also tucked in some berries here and there for more touches of colour. Then I added more flowers in to fill the rest of the box. I love how this warm burst of fall colours greets visitors to our front door. The best part? I was able to create this box wreath entirely with silk flowers I already had…I just arranged them in a new way for the season! What a beautiful way to think outside the circle, Angie! The wreaths are all gorgeous. 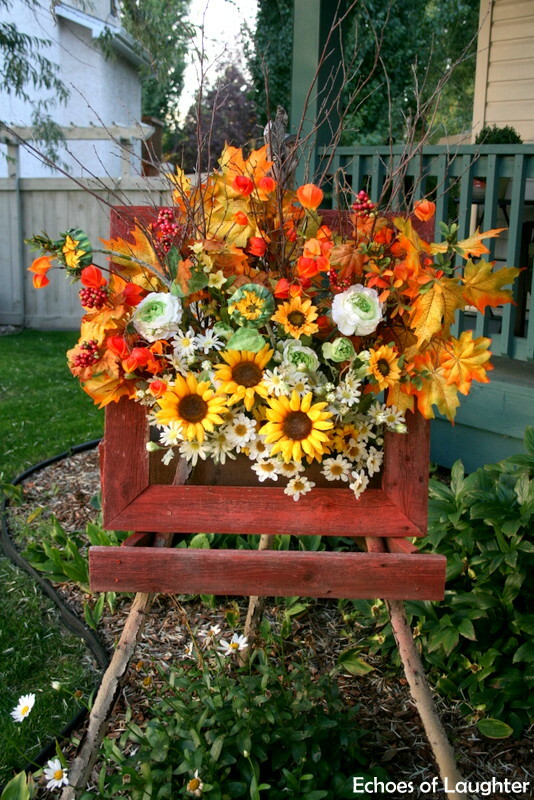 I’m looking forward to decorating for fall this weekend, too!